On Wednesday two of our teenagers will be here for the summer! YAY! My cooking will increase substantially with their arrival. Then on Saturday I will have my first Food Demo, I have a ton of cooking to do for that. With all of that going on I have decided not to do an official Meal Plan. So what will we eat, probably more of what we ate this weekend plus a few other things. Breakfast will be our normal fare; oatmeal, GF waffles, cereal, etc. It’s just that kind of week. Lunch will be equally easy; sandwiches, burritos, bean and grain bowls, wraps, and the like. Snacks will be fruit, nut butter on apple’s or banana’s, and probably a smoothie or two or three. Dinner will be pretty easy stuff for the first few days this week. I have some portobellos and zucchini I hope to grill along with other veggies. I’m sure we will eat out once or twice with the big kids arrival, that does not mean fancy or expensive though. Friday and Saturday I will be very busy cooking and prepping for the Demo. I’m going with a Mexican food theme. Originally I was going to do a bunch of different things but it will be easier this way. My next Demo I’ll showcase different types of food. Needless to say we will be eating lotsa Mexican food toward the end of the week. I’m also considering blogging a little less while our big kids are here. I’m not sure what our schedule will be like so I haven’t really decided. What are your thoughts? Maybe you can enlist the teenagers to help with the cooking…definitely the cleaning at least :). 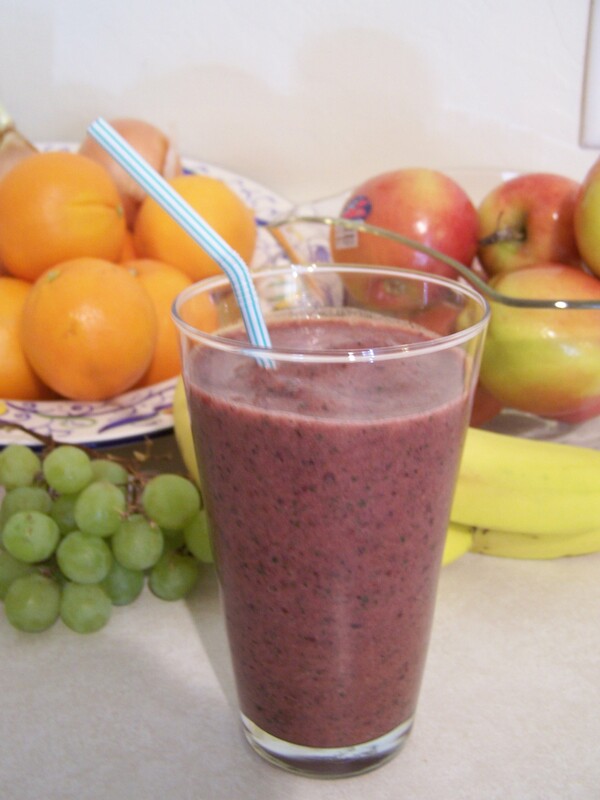 By the way, that smoothie looks awesome. Our daughter loves to cook, although plant-based and gluten-free cooking is new to her. She wants to eat healthy but the stuff she learned in “health class” isn’t gonna cut it here. Starting next week I’ll do some bulk cooking that will decrease out time in the kitchen. I am a big proponent of kids helping out with cleaning.